Writing technical applications in a modern object-oriented approach, using Fortran 90 or 95, can be problematic. 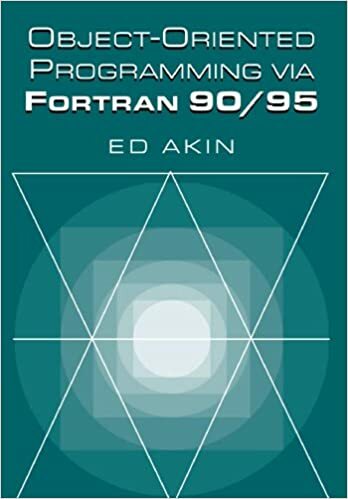 This book teaches how to employ the principles of object-oriented programming to produce clear, highly efficient executable codes (rather than focusing on the traditional procedural abilities of Fortran). This text is an excellent harbinger to all the features of the finalized, fully object-oriented Fortran 200X. In addition to covering the OOP methodologies, the basic foundation of the language and solid programming skills are reviewed, making the book valuable also as a good migration tool for experienced Fortran programmers that want to smoothly pick up the OOP paradigm. The author highlights common themes by using comparisons with Matlab® and C++ and uses numerous cross-referenced examples to convey all concepts quickly and clearly. Complete code for the examples is included on the book’s web site.